The Palestinian prison hunger strike has gone on for over 30 days, but Palestinians have waited far too long for their freedom. We stand in awe of the strength of the hunger strikers and the resilience of so many working for justice and equality in the region. We call upon our Jewish communities and partners to petition Netanyahu to let him know that any death from hunger strike is utterly preventable and his responsibility. Israel’s response to this hunger strike is consistent with the lack of respect for human lives and human rights by Israel’s leadership. 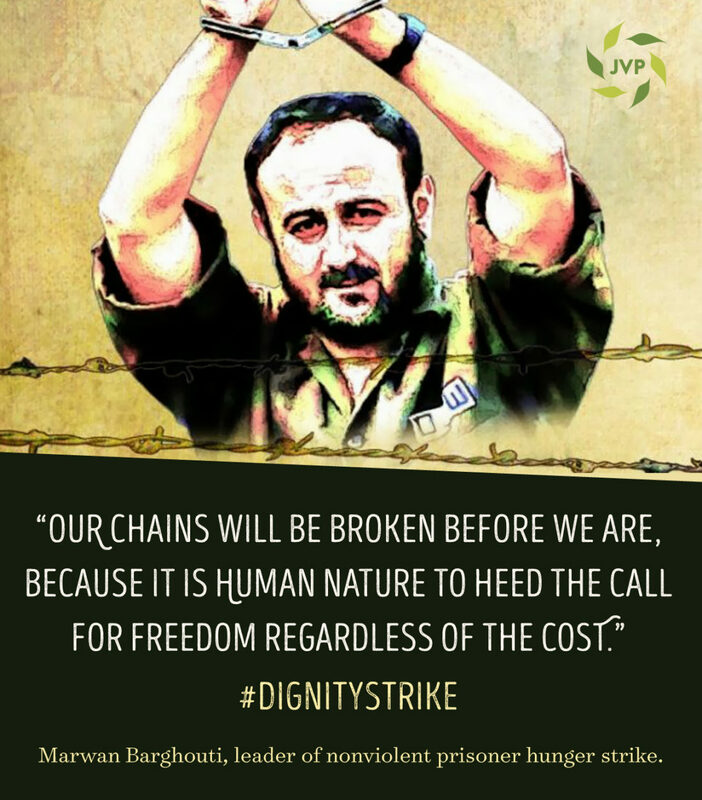 Instead of listening to the very basic demands for human dignity, Israel is attempting to discredit the hunger strikers and Marwan Barghouthi, the leader of the strike. Israel can end the hunger strike. Israel’s leaders can choose another path that includes respect for the dignity of all.